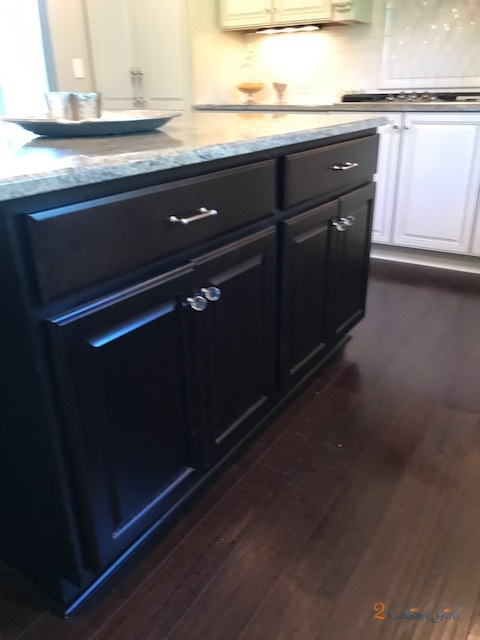 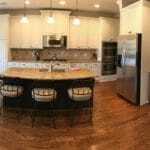 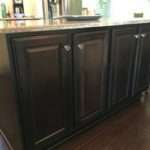 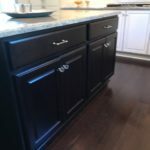 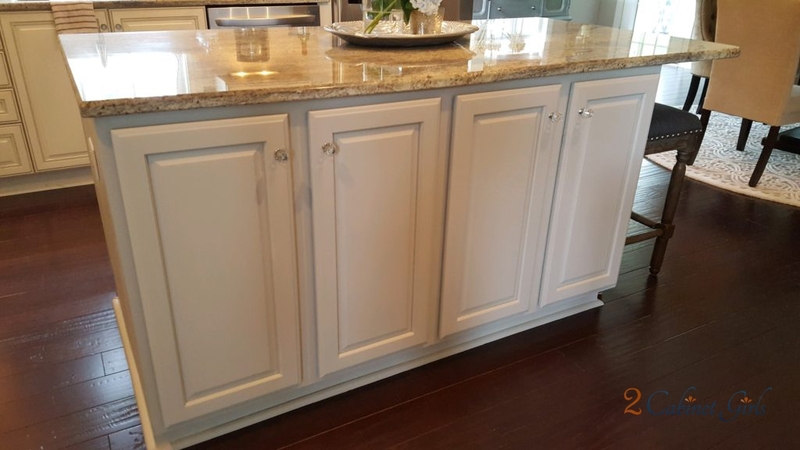 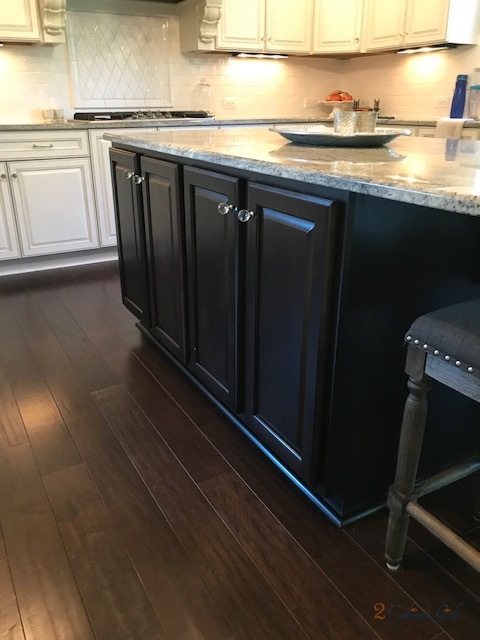 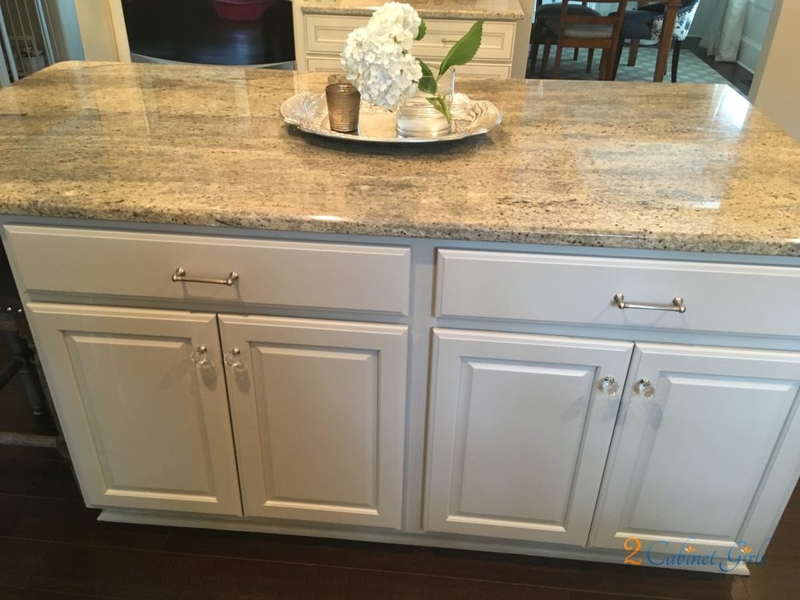 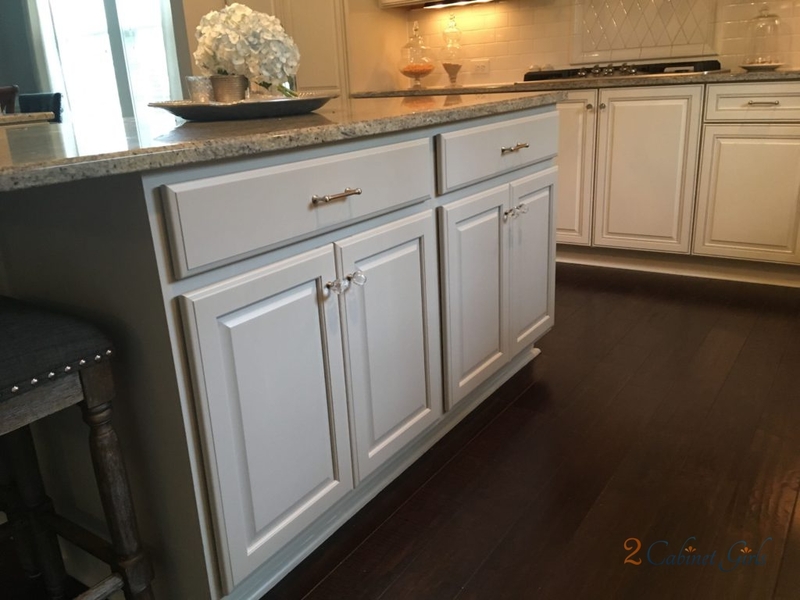 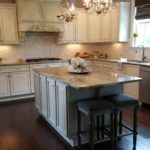 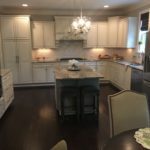 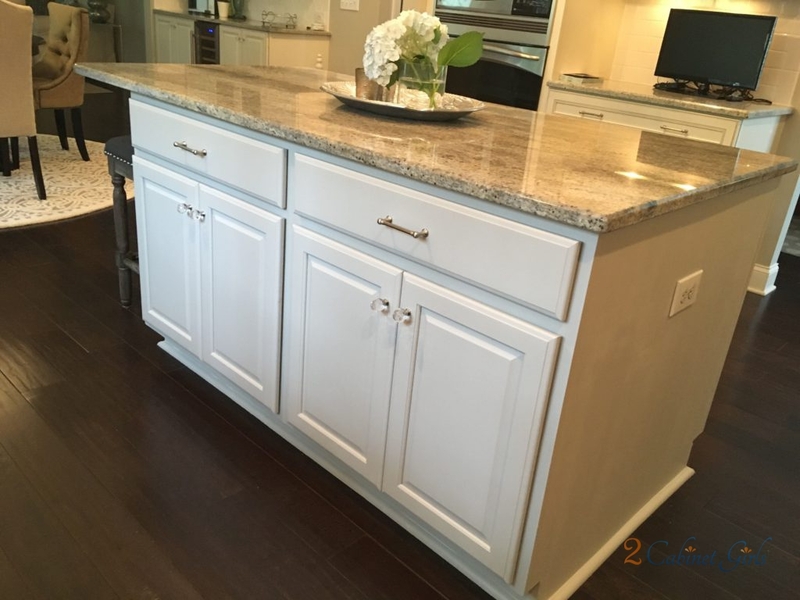 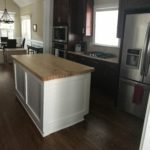 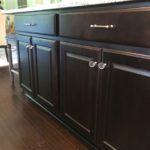 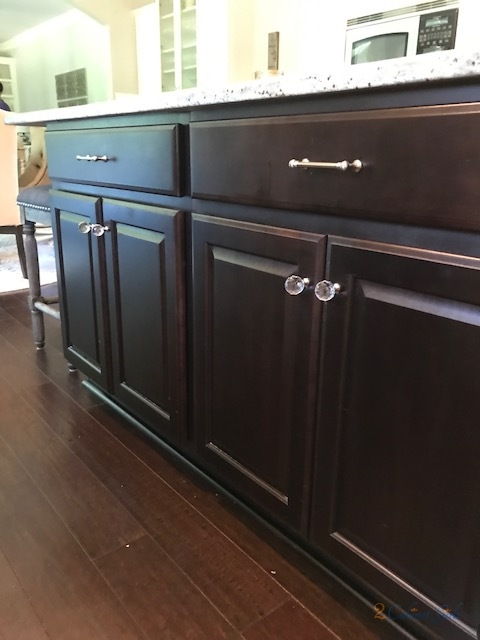 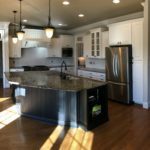 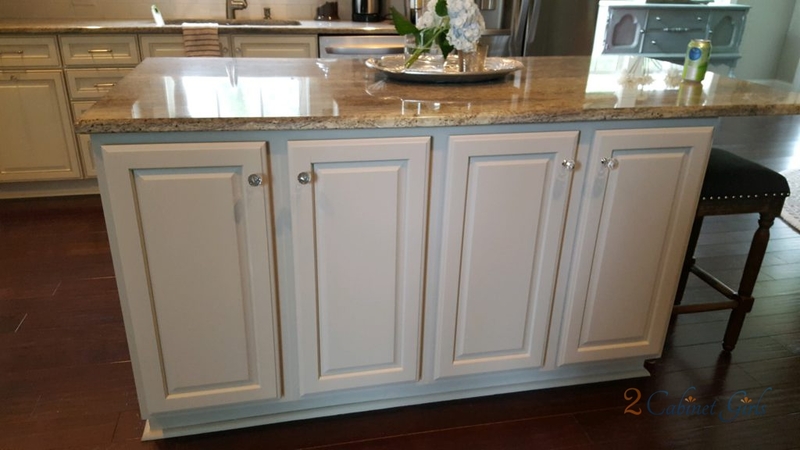 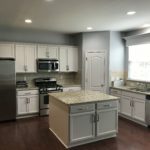 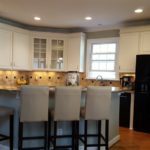 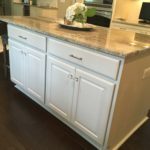 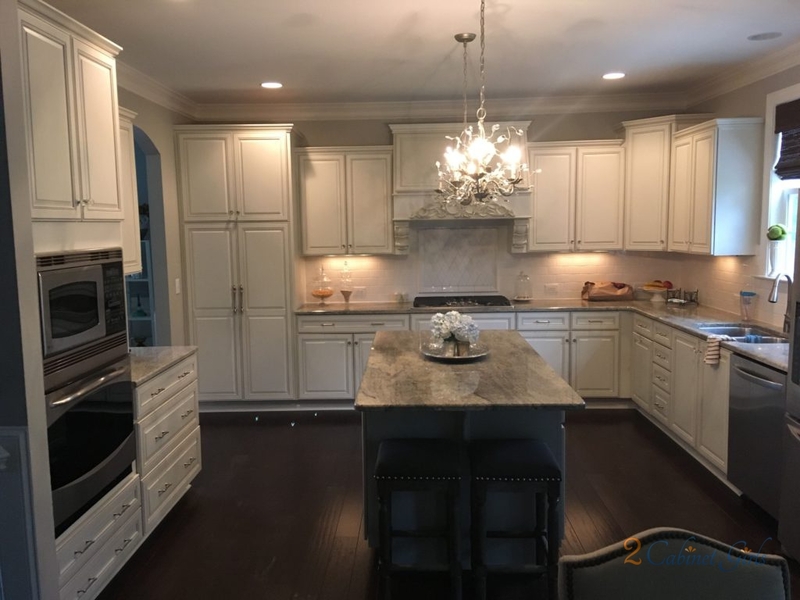 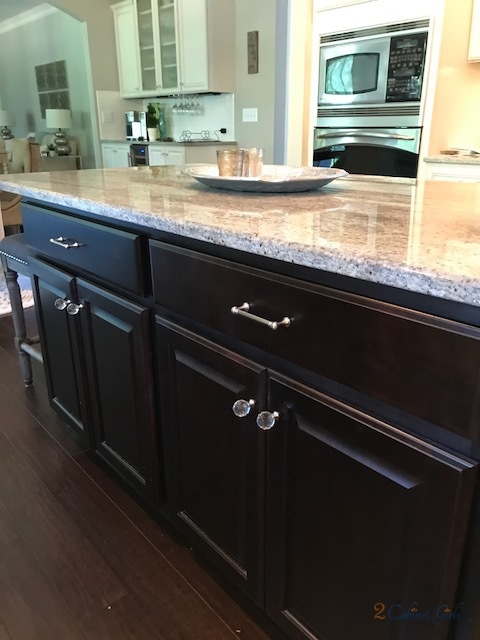 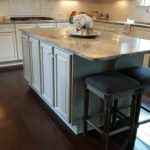 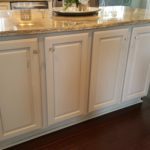 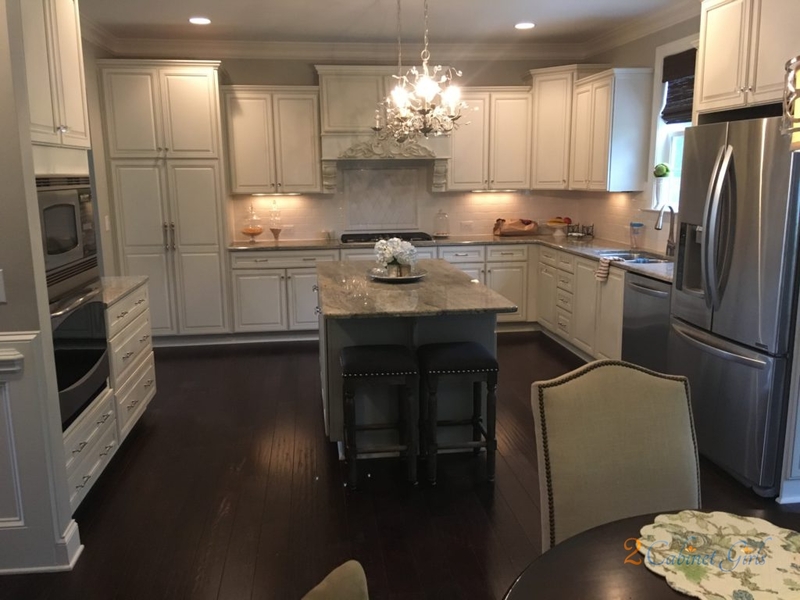 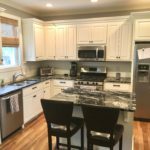 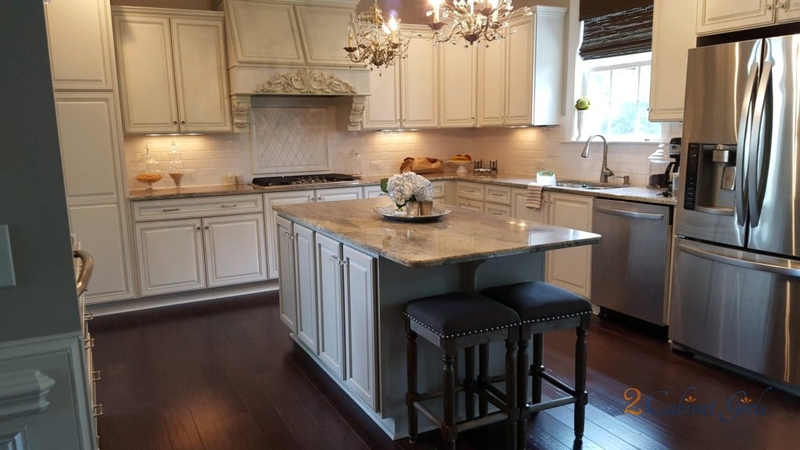 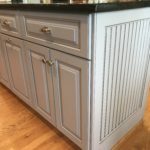 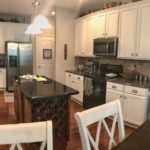 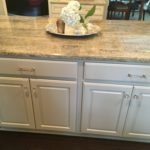 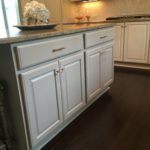 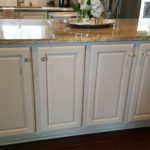 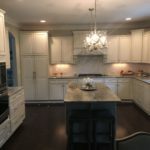 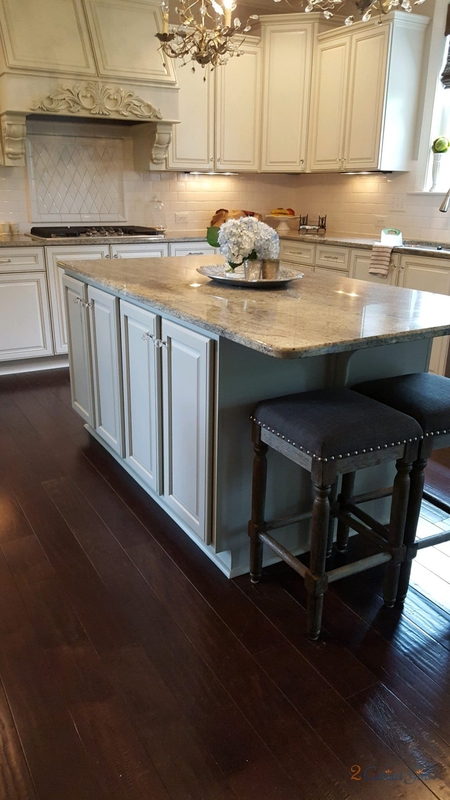 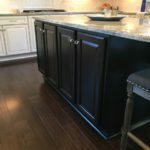 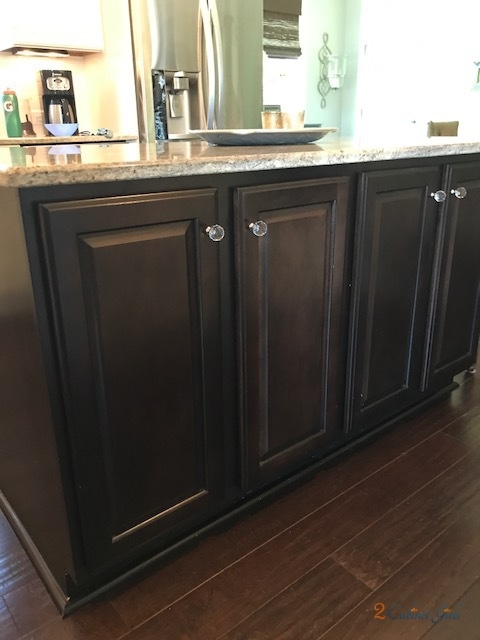 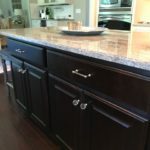 This island was beautiful to start with, but the color just didn’t quite fit with the beautiful creamy cabinets. 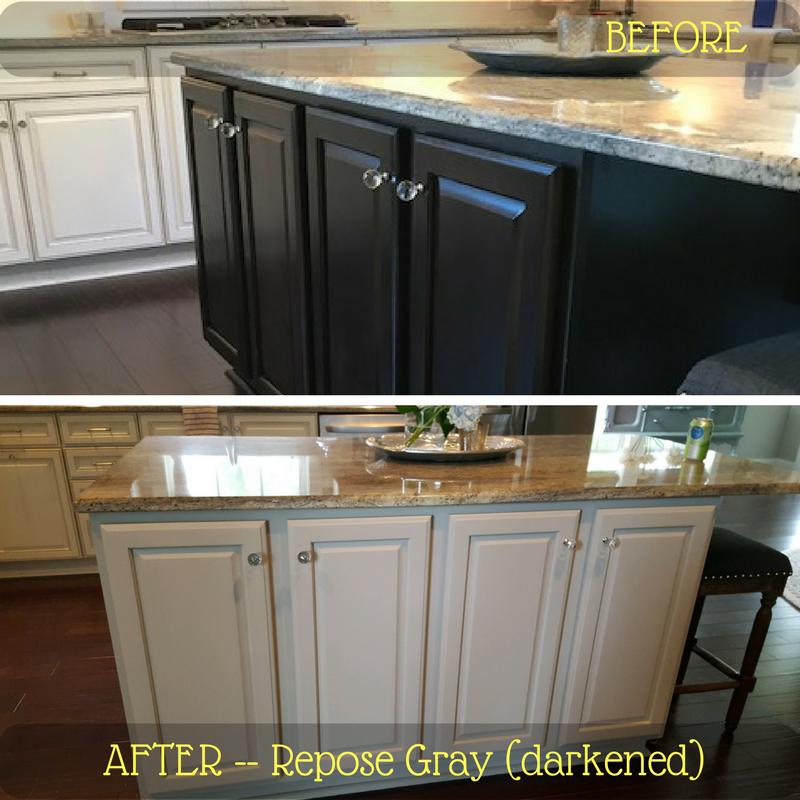 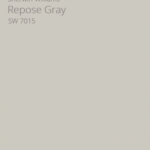 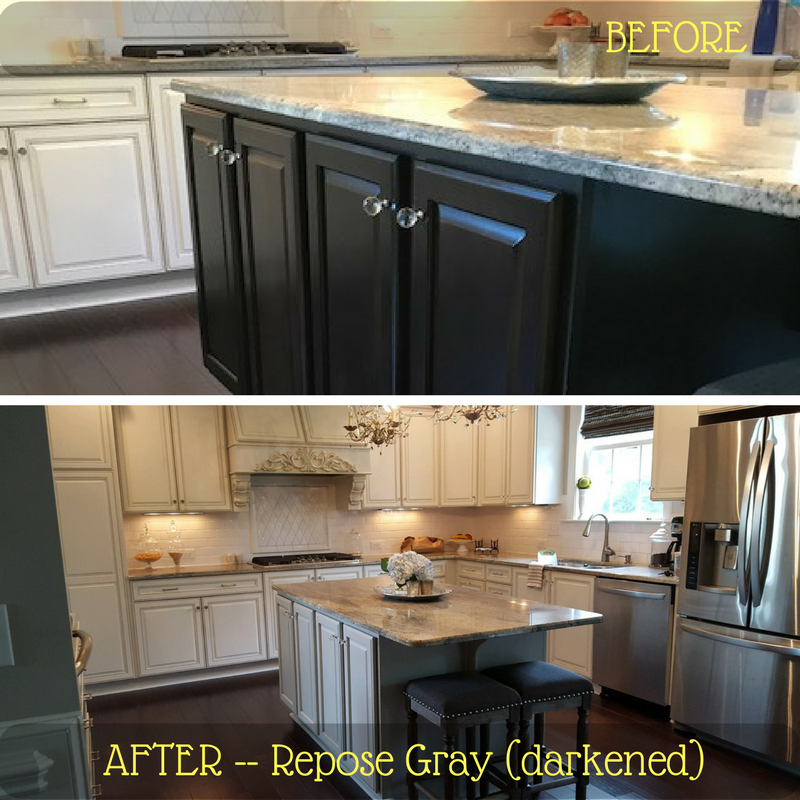 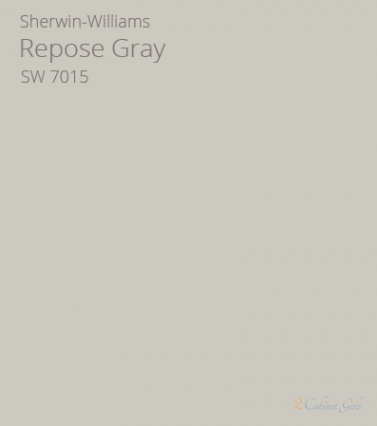 Adding a soft taupe, called Repose Gray, helped to blend it in with the rest of the kitchen. 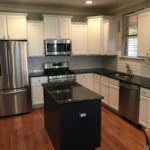 Now the entire space feels custom and fresh.